Hey guys, how are you all doing?!? Can you believe we are in March already!!! This year is going by so fast for me, aahhh… There’s so much that is going to be happening this year and one of the ways I stay sane and manage my stress level is by working out. I always say it’s my therapy, but seriously it is! As a Stay at Home Mom of 3 school aged kiddos, it is one of the ways I’m taking care of myself and putting my health first. If you’ve been a long time reader of my blog, then get ready to hear a lot more involving health & fitness, because this is something that is really important to me and also something I love. As Moms we are always worried about our kids getting enough sleep, are they physically active enough, are they eating properly, are they taking their vitamins, scheduling their well-doctors visits and where are we…at the bottom of the list; Am I Right?!? This is the year we are going to change that! Let’s have a show of hands, (no shame, remember I can’t see you) who made a New Year’s resolution to workout 3-4 times a week and has already broken their goals?!? You picked out really cute workout clothes, new shoes, possibly equipment, a cute reusable water bottle and you were going to rock it! But somehow what you had planned didn’t work out…. I get it, I’ve been there and I bet your goals didn’t match your reality. Things got in the way, you weren’t seeing results like you would of liked and you just stopped. Here’s the thing, you don’t need cute workout gear, the hippest hottest gym that has everything to offer, the cute reusable water bottle blah, blah…you just need to show up for yourself. When you start on your health & fitness journey, your intentions need to be in the right place. You need to do this for yourself! Now if you got off track and are looking for a little motivation, then read my 5 tips below! 1. Re-evaluate your goals. Lets get truthful with ourselves! Do you need to loose weight for your health? When was the last time you went to the doctor and had labs? Do you want to tone up, but not necessarily loose weight? Do you want to workout to feel good and in doing that you reap the benefits of a more fit & healthy you? You need to make the right fitness goals so you can tailor your workouts to your fitness level and for what you are trying to reach. The best time for me is in the morning after I drop off all 3 kids at school. I aim for Mon, Wed, Thurs, Fri. and if I have errands or appointments I try and make them on Tuesdays. If it doesn’t work out (no pun intended, ha) I try and go at least 3 times a week and praise myself for doing just that! It’s important to give yourself grace if you can’t make it all 4 times or your sick or you have a sick kiddo home from school or it just didn’t work out, only when your intentions are in the right place. 3. The right environment. Where do you want to workout? The gym, at home, outside, group classes, cycle studios, small gym settings… These are all questions you need to ask yourself, do you have self motivation or do you need accountability! 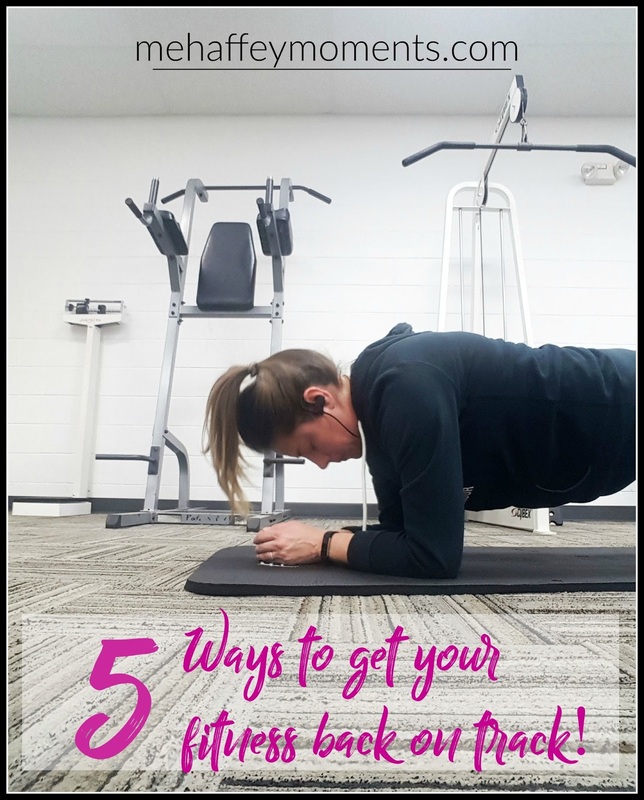 If you have self motivation then maybe forego the gym membership and download an app on your phone or pin exercises off of Pinterest or download printable workouts off the internet. Here are two apps that are my favorite and show modifications for beginners! These are both apps you can download from the app store on Apple & Android devices. They both cost a monthly fee or you can pay for a whole year, but it is still cheaper than a gym membership! If you need the accountability of going to a gym then I recommend working out with a friend that knows what they are doing to help you and teach you, get a trainer for a week to set you up or join classes so you don’t even have to think about setting up your workouts for the week. They do it all, you show up, attend the class, have a good time and 45-60 minutes later you are done, bam! Another way to workout and is very much over looked is WALKINGGGGG!!! I LOVE a good sunshine walk, it is good for my soul! 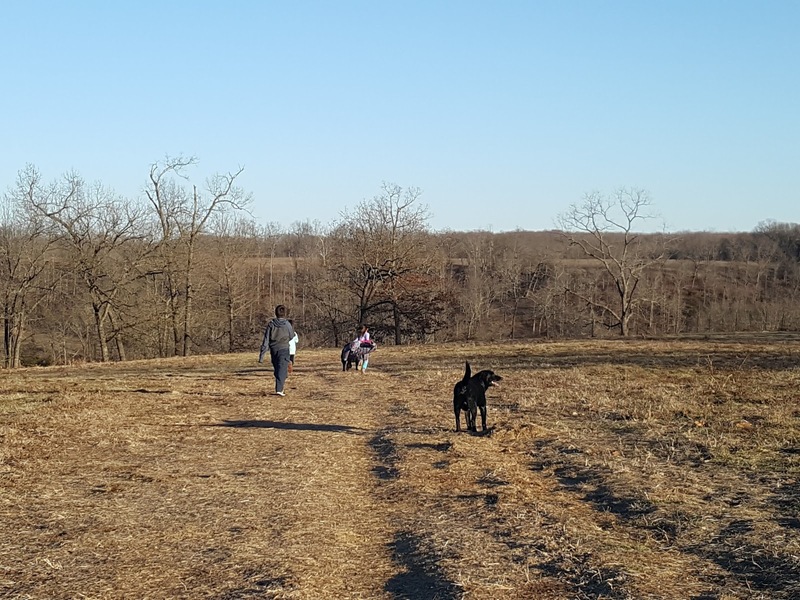 Go for family walks, throw those little ones in the stroller and go, walk with hand weights, get a walking buddy, that can be your four legged friends too. Just get out and go! If your neighborhood isn’t walk friendly go to a park or walking trail! Ride a bike, go for a family bike ride! The point is there is so many ways to be more active in your everyday life, make the change! 4. Make Fitness Fun! Make working out something you look forward to. Here’s what I do! When I am doing cardio on the treadmill, elliptical or bike I like to watch YouTube videos I specifically saved in my watch later list that’s around 30 minutes. I watch a Netflix episode of a series I’m loving and before you know it that 30 minutes is over! When I’m done with cardio and I’m onto strength & toning exercises I listen to a Podcast or music. I like Pandora’s workout playlist and it keeps me going. I recommend Bluetooth (wireless) headphones, then you don’t have some cord swinging around everywhere. If you are working out with a girlfriend it is your time to catch up and talk about what’s been going on! 5. Diet. When I say diet, I don’t mean extreme dieting trends, I mean what you put in directly effects the results you see and the way you are going to feel! Have you ever heard the saying, “Abs are made in the kitchen”? It’s true, if you want to see results, you need to eat a balanced diet, keep your carbs in check, have healthy snacks on hand and keep in mind your portions when serving yourself. Now I’m not about to give dieting advice because I’m not a nutritionist and what works for me doesn’t work for others. You may have food allergies or restrictions and your age may play into what you eat so I am not recommending any way of eating. For me I stick to an 75/25 diet. 75% of mostly whole foods and the other 25% is for me to enjoy life with what I want to eat. Part of me doing cardio is for me to enjoy the things I shouldn’t eat a lot of! But if you are looking for food inspirations I recommend going to Pinterest, there is so much there to offer: low carb, grain free, vegetarian, Italian, Mexican, you name it, it’s there!. Another important thing is to drink water!!! It’s recommended you drink 64 oz. of water a day! I struggle so hard in this department but I am constantly working on keeping my water intake up. Below I have my Workouts for Gym or at Home and Health & Fitness Pinterest boards you should follow along! In the end I think any movement is good movement. Remember to be truthful with yourself and the importance of physical activity. We all can carve out 20-30 minutes of our day to focus on our health! Remember…OUR HEALTH IS OUR WEALTH! Alright y’all, I hope you enjoyed this post or at least I inspired you to take a sunshine walk or to think about your activity level. This is the perfect post for today. I went on a 4 mile sunshine walk with a friend and my dog Bat. Love this Jade-I am also trying to walk, do yoga and drink more water every day – which means I get "my steps in" to the bathroom too!